About ICP Networks | Our Location | An ISO9001 & ISO14001 company. ICP Networks worldwide HQ is based in Poynton, Cheshire - around 12 miles from the centre of Manchester. The purpose built 16.500 sq foot facility was designed from the ground up to ensure the environment - and our affect on it - was considered at all stages. Our state of the art HQ is equipped with a 50kWp solar PV system for the commercial warehouse roof and a host of energy saving technology. Nothing has been left to chance and our work has already been recognised with ICP Networks being awarded certifications for the most recent ISO Standards ISO900:2015 and ISO14001:2015. Poynton is a perfect base for ICP Networks. We are minutes away from Manchester Airport, served by the mainline railway connection, just 1hr 49mins from London via a direct connection and surrounded by the countries most important motorway network. 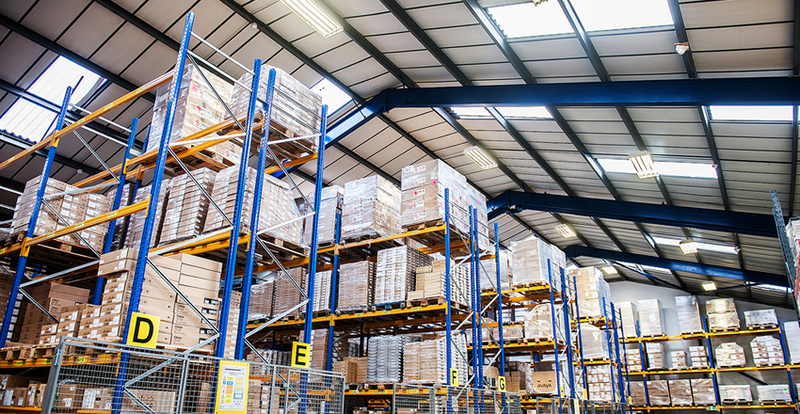 This makes the ICP Networks HQ an ideal location to supply and source the UK and rest of the world and the excellent warehousing facilities, with specially designed loading bays make our warehousing operation incredibly efficient and manageable. When it is finally time to close the ICP Networks shutters for the evening Poynton provides our team with the perfect opportunity to kick back and wind down. Lexicon House is literally located within the foothills of the world renowned Peak District - and provides the opportunity for our team to turn their back on the hustle and bustle of business and enjoy a scenery that would rival any other IT business in the world.